Where Will The NBA's Biggest Free Agents Land? 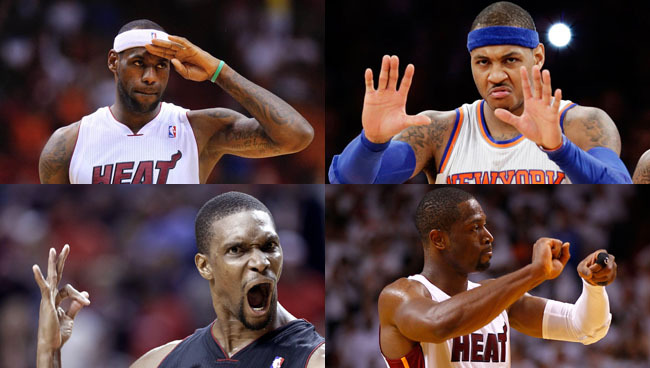 Let us know your thoughts on the biggest NBA free agents. NBA free agency started almost a week ago, and while there has been plenty of speculation, meetings and rumors, none of the players anyone actually cares about have made moves. (No offense to the Pistons and Jodie Meeks.) They'll be coming soon - there's no doubt about that. But in the meantime, it sure is fun to speculate. Let's take a look at each of the major players, and see where they stand. Let's face it. Much of the reason there hasn't been a great deal of movement yet, as far as free agency, is that so much depends on what happens with LeBron. It appears he's finally going after a max deal he's more than earned, which, if he did want to remain with the Heat, presents some major issues. Unless his fellow Big 3 teammates are willing to make some major concessions, that basically leaves the Heat with only the $5 million per year mid-level exception to offer players like Luol Deng, who turned down an extension from the Bulls last season which would have paid $10 million per year. South beach is nice, but that's a tough sell. And while we may have joked about the Jodie Meeks deal, it has an impact on the Heat's situation by setting a market value for this offseason. Now, any player viewing themselves at or above Meeks' level, is looking for at least three years at $19.5 million, which is already more than the Heat can afford with the Big 3 at their current levels. And again, no offense to Jodie Meeks, but the Heat were probably looking to add someone with better numbers than his 9.7 ppg career average (which includes inflated numbers from last year's miserable Lakers team). Despite all that, the Heat were still seen as the early favorites to lock up LeBron's talents. But as more time passes, the Cavs, Suns and Mavs come up more and more. Could LeBron make a return to Cleveland, in what would become one of the biggest sports stories in history? Or could he add a third team to his resume? The fate Dwayne Wade and Chris Bosh certainly is tied to LeBron's decision, but there's no doubt as to who's the second most coveted prize this offseason. Melo's landing in New York had a lot to do with his unwillingness to sign an extension with Denver, which makes this is his first go at truly being a free agent. He's now listened to pitches from multiple teams, and while early speculation was that he was likely to leave the rocky situation he's faced with in New York, the odds appear to he shifting back towards him staying. 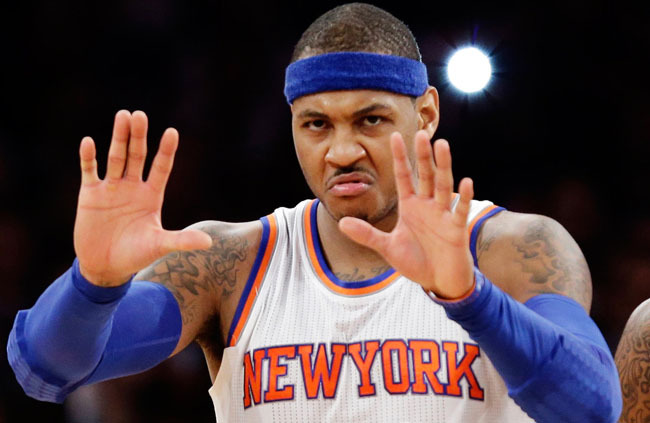 But could a much better basketball situation in Chicago, or the change of coasts with the Lakers, sway him? It's easy to make jokes about Chris Bosh, whether he's standing and watching his team get dunked on in the lane, or enjoying a champagne shower a little too much. 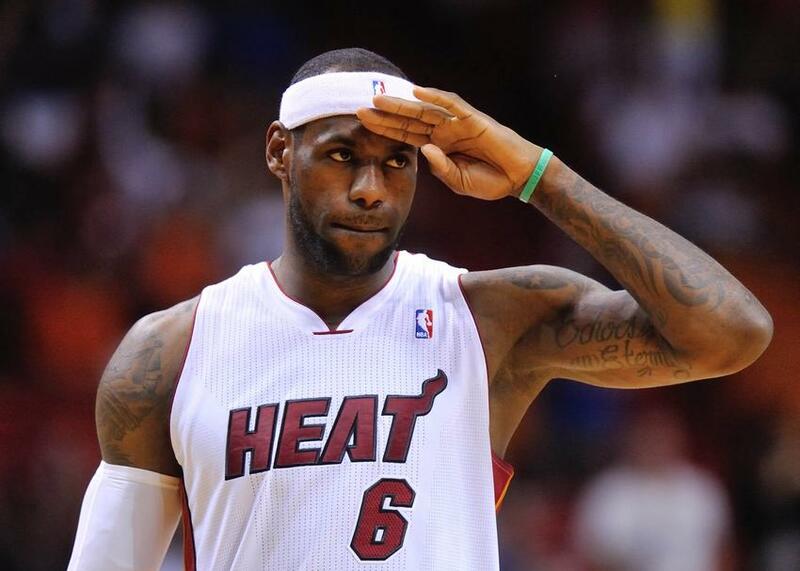 But at the end of the day, he played an important role in the Big 3-era success of the Miami Heat. He seemed to step up every time Lebron was hurt, or having an off game. So while he may have entered the Big 3-era as the 3rd tier member, he's emerged as the clear #2. And being second only to LeBron on a team that's won multiple titles is still pretty impressive. 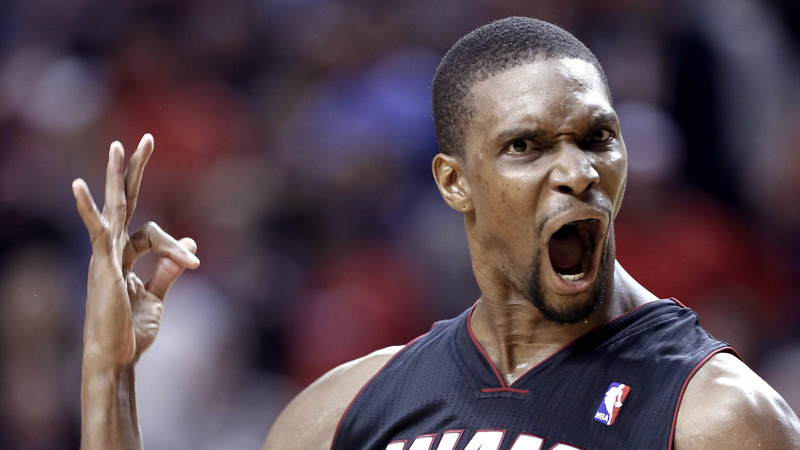 That said, were LeBron to return to the Heat, there would be a very high likelihood Bosh would as well. But rumors are circulating that his camp has confirmed max money deals will be available to him should he chose a change of scenery, or not be willing to take a pay cut from the Heat. Will he stay with the Heat, or could we see him in a place like Houston, which is in his home state? Unlike LeBron and Bosh, DWade entered the Big 3-era with something neither of the others had. A ring. But his game has taken a substantial step back since he won that first ring alongside Shaq. Not only has his athleticism diminished, so has his presence, suiting up for a mere 53 games this past season, averaging 32.9 minutes. Managing minutes and protecting aging bodies is part of the game, but in comparison, Tim Duncan, 6 years older than Wade, averaged slightly less minutes per game, but played in over 20 more games. While his decline has been apparent for a couple seasons, never has his desire to play been questioned like it was this year. 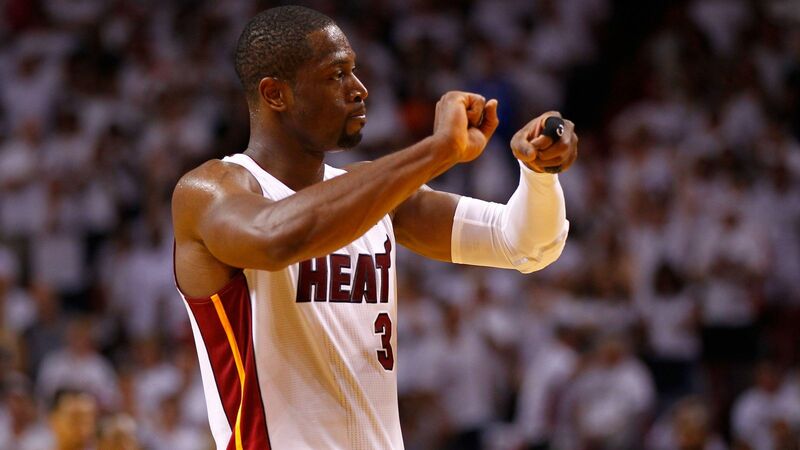 Were his Big 3 teammates to leave town, would Wade stick in Miami to help rebuild? Could he make a Chicago homecoming at a greatly reduced salary? Or could he even call it a career, having earned three titles and three major sneaker deals already in his career? LeBron, Melo, Bosh and DWade may be the biggest names, but once their futures have been decided, we'll probably start to see the next tier of free agents make their decisions. Will Phoenix build on their promising rebuilding process by re-signing Eric Bledsoe? Did Lance Stephenson's antics scare away potential suiters? After years of trade rumors, will we finally see Pau in a uniform other than the Lakers' purple and gold? 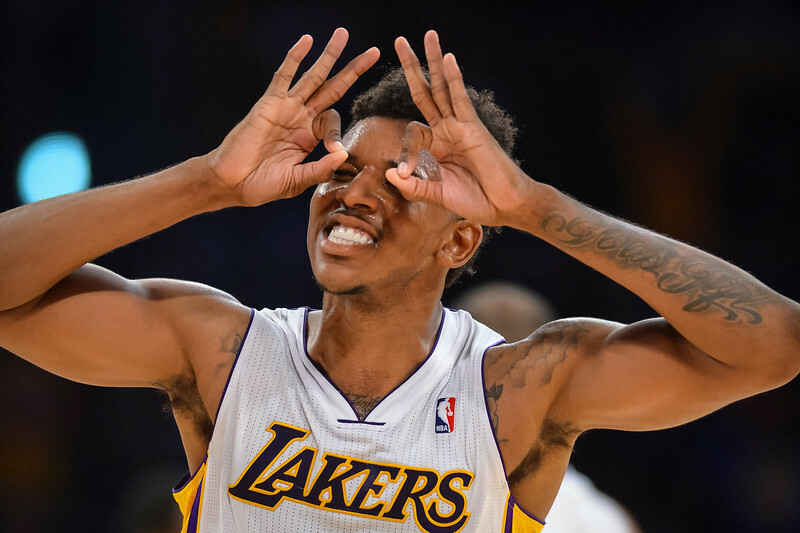 The fans want Swaggy P back, but does Lakers' management? How about Ray Allen? Could we see him follow any of his Heat teammates if they decide to leave? We'll find out the answers to these questions soon, but for now, let's hear your thoughts. Who will end up where?